AI-controlled minions have always been a central part of the player experience in Classic League of Legends. 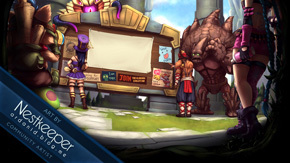 But with all the gameplay changes coming in the Dominion game mode, it became quickly apparent that these unsung heroes of the Field of Justice would have to play a significantly different role on the Crystal Scar than they did on Summoner’s Rift. Finding the right balance was a long process, but here’s a bit of inside information on how we arrived at the minions that ultimately made it into the new game mode. Why Have Minions in Capture-and-Hold? When laying the groundwork for the Dominion game mode, one of the most important questions that we had to answer early on was: Do minions have a place in capture-and-hold gameplay? With so many champions reliant on these often under-appreciated soldiers in various ways, it became clear that minions were needed in some form if we wanted champions to have a similar role on the Crystal Scar as they had on Summoner’s Rift. What is the best way to keep minions threatening over the course of Dominion’s accelerated character progression? How do we maintain pushing as a viable strategy, but still promote freedom of movement and player vs. player combat over last hitting and laning? And, most importantly, how do we retain minions a core part of the gameplay in League of Legends: Dominion? The first iterations of the Crystal Scar featured minion waves of similar power and composition to those found on Summoner’s Rift. Unfortunately, with players now starting at level 3 with significantly increased sums of gold, they tended to either easily dispatch these relatively fragile minions or simply ignore them. While one of the goals of Dominion’s design was to focus players on champion combat, we still wanted minions to be capable of turning a battle in favor of the pushing team. Our initial attempts to rectify the situation featured a series of radical changes, such as powerful shaman minions that provided a potent buff to nearby allies or minions that detonated on contact with an enemy command point. One experiment even featured minions ferrying gold from a mine at the center of the map back to the command point as the primary scoring mechanism. While each of these solutions made progress in some areas, they each seemed to generate as many problems as they solved. While they damaged the control point, our exploding minions still left push champions alone against enemy defenders; our shamans were confusing and ultimately didn’t change the way the player interacted with minions; and our gold mine caused champions to pile up in the middle of the map rather than promoting global map control. With all of these radical deviations falling like dominos, it was time to take a step back. After all, we didn’t want to change the strategic impact that minions had on pushing an objective. Rather, we simply wanted to discourage the players from falling into the habit of laning and farming. That raised an interesting question: What if, rather than altering the core behavior of the minions themselves, we simply increased their overall combat effectiveness? In the first playtest we tripled the standard minions’ health and damage. As these new, powerhouse minions romped across the lanes cutting champions to ribbons, we quickly learned two things: the new minions that had a definitive impact on gameplay were fun and that we’d taken the numbers a bit too far. Having come full circle in our thought process, the Design Team set about scaling these new minions’ stats to a more manageable level. Even then, however, we were still faced with the issue of large waves of minions crashing into each other and cluttering the lanes. While these large minion waves were ideal for Summoner’s Rift where they were the player’s primary source of income, on the Crystal Scar we wanted to discourage farming behavior and keep the lanes clear for ease of mobility. To open up the battlefield for more roaming we reduced the number of minions per wave significantly, pairing each wave down to three ranged minions and one tough melee minion. 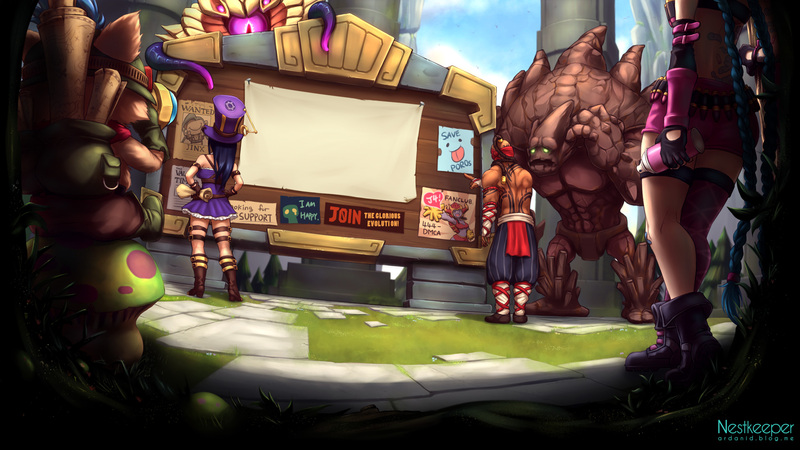 This prevented the large groups of minions that were commonplace on Summoner’s Rift from forming. These smaller waves were both less likely to impede a player’s path toward an objective, and were easier to clear. Ultimately, these smaller but more damaging minion waves proved able provide push champions with the same utility as their counterparts on Summoner’s Rift, without becoming tempting targets for gold-hungry champions. Additionally, they were easy to grasp for new players coming into the genre, and instantly familiar to players who were already a seasoned veteran of the Classic game mode. We believe that this new twist on the classic minions will play a significant role in facilitating the frantic, player-versus-player action of League of Legends: Dominion! I love me some minions and all... but where is Dominion?! So when is it being released? DOWNVOTE ME IF UR BAD AT THIS GAME!! U MAD CUZ U BAD!! Stop releasing these things. So few people care. Also, "more damaging minion waves proved able provide"
Patch + this Post, am I about to play Dominion?